and now has a B grade. LOS ANGELES — It’s a daily culinary performance that plays out across Los Angeles: Top food truck chefs whipping up gourmet meals in spaces no bigger than a restaurant’s stockroom or walk-in freezer. 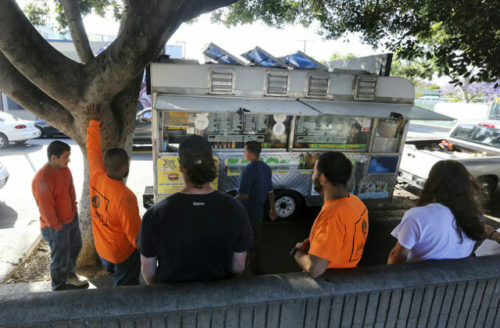 But even as the trucks have become a popular staple of the local food scene, with Twitter followers and long queues, they have been lagging behind restaurants and even sidewalk food carts in one important category — health safety, a Los Angeles Times data analysis found. 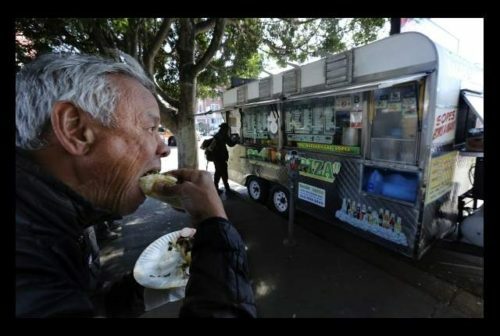 About 27 percent of food trucks earned lower than A grades over the last two years, according to a Times review of Los Angeles County Department of Public Health data. By comparison, slightly fewer than 5 percent of bricks-and-mortar restaurants and about 18 percent of food carts fell below that mark. More than 4 percent of food trucks inspected this year were forced to close — a rate three times higher than regular restaurants, the analysis shows. The health department has closed more than 70 food trucks this year, most of which were allowed to reopen after passing follow-up inspections. Experts say food trucks face unique challenges to stay sanitary. Workers must do their jobs in confined spaces — typically less than 8 feet wide by 20 feet long — and trucks often lack the equipment of a full-sized restaurant. That can lead to more cross-contamination, USC accounting professor Ruben Davila said. 2016, in Los Angeles. 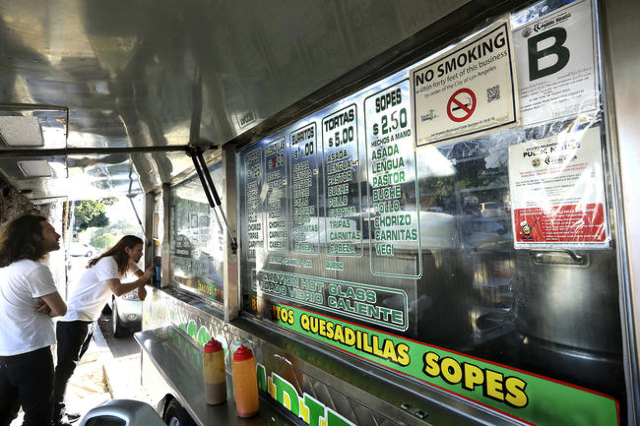 Food trucks have scored poorly on health inspections. “If I serve you and I also prepare the food, there’s a little bit of a problem right there with health issues, potentially,” said Davila, academic director of the Food Industry Management Program at USC. Storage temperature is also more difficult to maintain in mobile cooking, so it must be closely scrutinized to make sure ingredients don’t spoil, he said. Truck owners must also deal with the elements that come with being on the street rather than inside a building. The Hungry Lion food truck at Loyola Marymount University was shut down April 6 after inspectors found a rodent infestation. 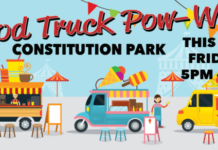 Mice had crawled into the truck through the engine manifold when it was not in service, said Dana Massimiani, director of operations for Loyola’s food service contractor Sodexo. After inspectors found more than nine rodent droppings, the vehicle was sent back to the manufacturer to fix the issue, he said. 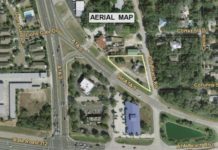 The truck reopened two days later and received an A on its next inspection, records show. More than 4 percent of food trucks received C grades, compared with fewer than 1 percent of restaurants, the analysis of health department data since May 2014 found. Inspectors visited more than 36,000 food sellers during that time. Tacos Ariza, a fixture on Sunset Boulevard in LA’s Echo Park neighborhood, received a C on a health inspection in early March. Employee Isabel Ariza said business was down after the blue C was posted in the window but has improved since a re-inspection in late March earned the food truck a B grade. Ariza said she and other workers strive to follow health regulations, but it’s a constant struggle. The food preparation area and refrigerator are both small, which can lead to violations, she said. The health department began inspecting food trucks in 2011. A Times report in 2014 found that inspectors reviewed only 40 percent of trucks and mobile food carts because of short-staffing and difficulty in locating the trucks when they were in operation. James Dragan, the county’s chief environmental health specialist for consultative services, agreed that a tighter work space could lead to more violations but stressed that his department has not yet studied its inspection data. Inspectors now require trucks to submit route slips and have checked about 70 percent of them this fiscal year, which ends in June, Dragan said. 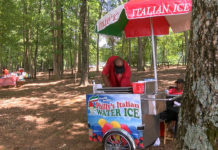 The inspection process is the same for restaurants, food trucks and carts, according to the health department. Food sellers can receive major, minor and low-risk violations that result in point deductions starting from 100. To earn an A grade, a food facility can lose no more than 10 points. Initial inspections are random, but each facility is allowed a re-inspection if it is found to be out of compliance, health officials said. Every 12 months, facilities can also pay for an owner-initiated inspection after the initial inspection. Inspectors look for health issues that pose risks associated with food-borne illness outbreaks, including improper storage temperatures, contaminated equipment and poor personal hygiene, according to the health department. Some food truck purveyors run a tight ship. Housed inside a black and chrome rig, the La Estrella taco truck typically parks in a gas station lot in South LA. In the window sits the familiar blue A. To keep their truck in good shape, the La Estrella crew cleans at the end of each night, and the owner comes by to make sure everything is in order for the next day. On a recent evening, Eunice Soto, 23, waited in line for the Tacos Tamix truck, with its hard-to-see B grade posted in the window. Soto wasn’t surprised about the lower grades of food trucks and said it wouldn’t stop her from gorging on late-night grub.